Welcome to the Gymnastics Headquarters! 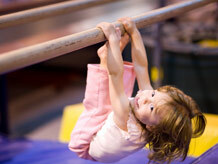 I’m here to help gymnasts, parents and coaches on their gymnastics journey. Take the quiz above to get your own personalized home workout plus skills checklist. What is more fun than gymnastics! 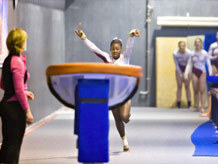 Here is some information on throwing a gymnastics party, and gifts your gymnast will love! Here is some more information about the gymnastics levels and what the different gymnastics level requirements are. 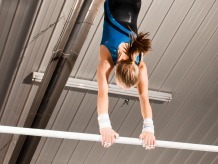 In addition to the normal Junior Olympic gymnastics levels, some gymnasts compete in the Xcel Program, AAU Gymnastics, or TOPs.